Background/Purpose: Most data about infections associated to biologic therapy in juvenile idiopathic arthritis (JIA) derive from registries designed to identify general adverse events that have not focused on risk factors for this condition. In addition, previous publications of biological therapies were performed in distinct settings regarding endemic area and infection surveillance protocol. Therefore, our objectives were to assess the rate of serious/opportunistic infections in JIA patients from a single tertiary center under biologic therapy using a standardized electronic protocol in order to identify possible risk factors associated to theses complications. Methods: From August 2004 to March 2016, 107 consecutive JIA patients were longitudinally followed at the biologic therapy center of the Rheumatology Division of our tertiary university hospital using a standardized electronic database protocol including demographic data, clinical and laboratorial findings and treatment at baseline and at the moment of infection. Serious infections were defined as those requiring hospitalization or intravenous antibiotics and opportunistic infections included tuberculosis(TB), herpes zoster(HZ) and systemic mycosis. All subcutaneous and intravenous biologic agents are regularly administered in our center with previous infectious screening. Results: The mean age at baseline was 14.6±5.7yrs, 71% were females and median disease duration prior to biologic therapy was 4.8yrs (0.1-21). A total of 398 patient-yrs (py) were included: 179py for etanercept (ETN), 92py for adalimumab (ADA), 22py for infliximab (IFX), 78py for abatacept (ABA) and 27py for tocilizumab (TCZ). The median time of biologic exposure was 3.0 years (0.15-11.5). We observed 35 serious/opportunistic infectious events in 27 (25%) patients:31 (88.6%) were serious infections and 7 (20%) opportunistic (1 TB, 5 HZ, 1 systemic candidiasis). The median time of total biologic exposure until infection was 18 months (1–91) and most common sites were: 34% skin/soft tissue, 23% urinary tract and 20% respiratory tract. No patient died due to infectious complications. Serious/opportunistic infections rates were 10.6/100py for ETN, 10.9/100py for ADA, 2.6/100py for ABA and 14.8/100py for TCZ. Comparison of 27 patients with and 80 without infection showed a higher frequency of systemic-onset JIA (44 vs. 20%,p=0.021), lower age at biologic therapy initiation (12 ± 6 vs. 16 ± 5yrs,p=0.005) and a history of previous serious infection (33 vs. 14%,p=0.042) in the former group. Further analysis of 35 patients with and 80 patients without infectious complications balanced for mean time of biologic exposure revealed a significantly higher frequency of lymphopenia (17 vs. 1%,p=0.003) during infection events. Disease activity parameters and concomitant treatment had no influence on infections rate (p>0.05). Conclusion: This single center study demonstrated a high rate of serious infections in JIA patients under biologic therapy in a real life setting, except for ABA. Systemic-onset JIA, lower age at biologic therapy start, history of previous serious infections and lymphopenia were important risk factors for these complications. Disclosure: J. Brunelli, None; A. R. Schmidt, None; A. M. E. Sallum, None; C. Goldenstein-Schainberg, None; E. Bonfa, Fundação de Amparo à Pesquisa do Estado de São Paulo (FAPESP 2009/51897-5), 2; C. A. Silva, Fundação de Amparo à Pesquisa do Estado de São Paulo (FAPESP 2009/51897-5), 2; N. E. Aikawa, Fundação de Amparo à Pesquisa do Estado de São Paulo (FAPESP 2009/51897-5), 2. Brunelli J, Schmidt AR, Sallum AME, Goldenstein-Schainberg C, Bonfa E, Silva CA, Aikawa NE. High Rate of Serious Infection in Juvenile Idiopathic Arthritis Under Biologic Therapy in a Real Life Setting [abstract]. Arthritis Rheumatol. 2016; 68 (suppl 10). 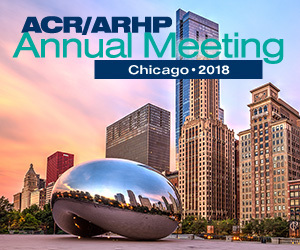 https://acrabstracts.org/abstract/high-rate-of-serious-infection-in-juvenile-idiopathic-arthritis-under-biologic-therapy-in-a-real-life-setting/. Accessed April 20, 2019.